Sister Calasanctius is remembered fondly by Longford folk for the manner in which she cared for others and she had a fifty-year association with the workhouse, later called the County Home and now known as St Joseph's Hospital. Sr Calasanctius, who is a native of Dromard, qualified as a nurse in Cork and trained as a midwife immediately afterwards. A few months later she joined the Sisters of Mercy in Longford. Her first connection with the County Home dates from 1946 when she was appointed as a permanent nurse. 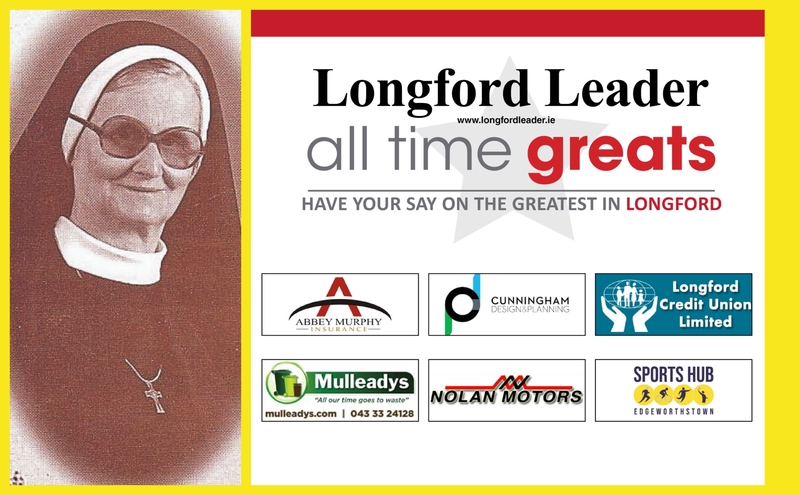 She was the first nun to practise midwifery in the Longford County Home. She was appointed Matron in 1954. Sr Calasanctius devoted her lifetime to helping the sick, the poor and the downtrodden people of county Longford.